All right, all right, I’m being that girl who drags out their birthday celebrations for as long as humanly possible. 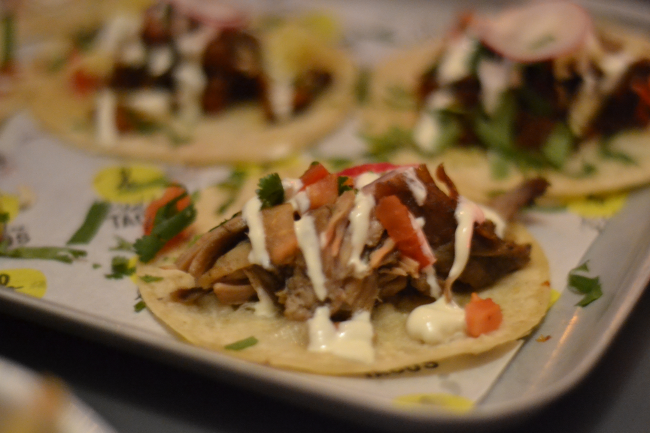 To celebrate (or commiserate) turning 23 on the 2nd of this month, eight of my best blogging pals and I headed down to the Breddos Tacos ‘pop-up’ at The Player in Soho, London to chow down on everything on their menu. I wish I was kidding. 8 Broadwick Street, London, W1F 8HN. Nearest Tube station: Leicester Square, Piccadilly Circus, Oxford Circus. 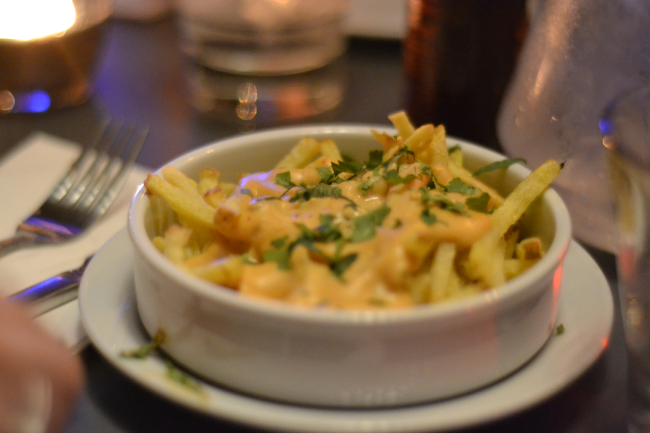 My first impressions were that we should never again attempt to dine on a Friday night. 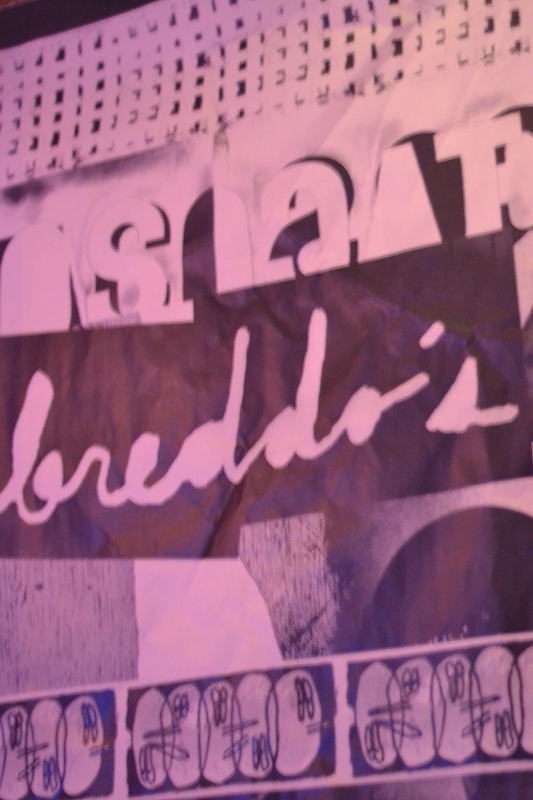 For what we had planned – a simple girls’ dinner and gossip sesh – it was super loud and we all agreed that there should be some sort of food/bar division, even though Breddos is a ‘pop-up’ style eatery. 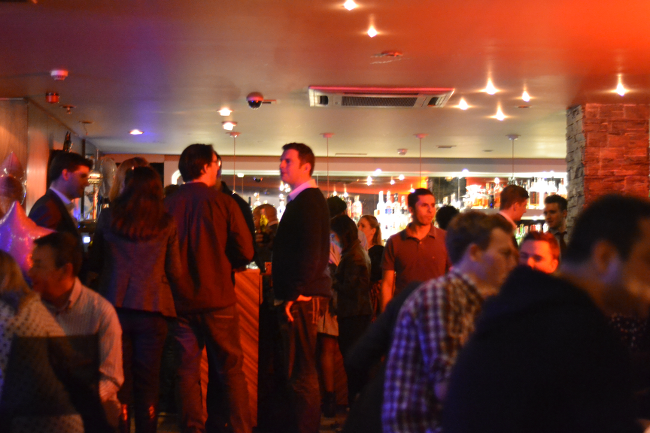 Having said that, The Player is super popular with an amazing, buzzing atmosphere, plenty of bar space, seated areas for food and bar customers and floor space too. Their cocktail menu looked incredible and overall the bar felt lively with an upmarket/underground twist. As a group, we all decided to essentially split the table into twos and share food together as sliders and tacos are a great way to sample the entire menu. I enlisted self-professed London Burger Queen Hannah as my food partner and we got a LOT of food. 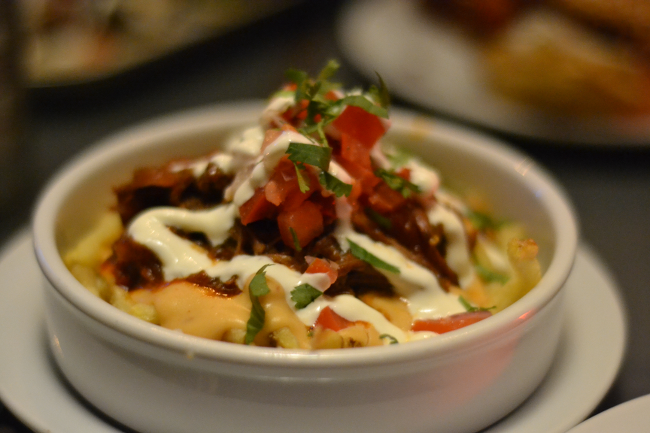 Our favourites by far were the Breddos slider, short rib cheesy fries and jerk pulled pork taco. The Breddos slider is, to put it simply, a great all-rounder. 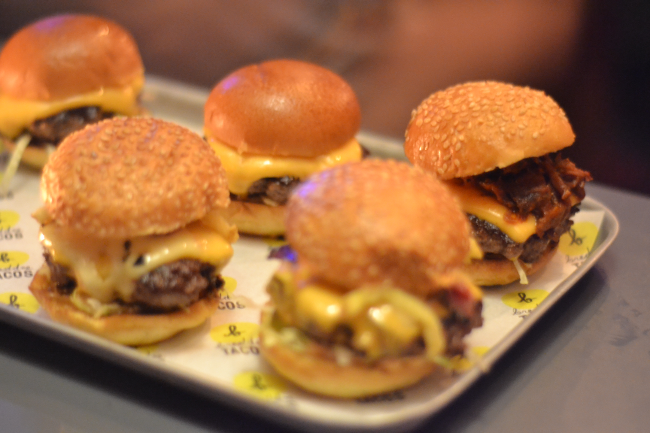 The beef is juicy yet firm with a great selection of toppings that other sliders simply don’t bother with. A kick of spice via fresh habanero, chipotle mayo which was to die for and even a few shoestring fries popped in the mix, this was our favourite slider. The Crunchy Nut (a chicken offering) leaned a bit too dry for me, and the Short Rib was nice but ultimately beaten by Breddos. To the tacos then! 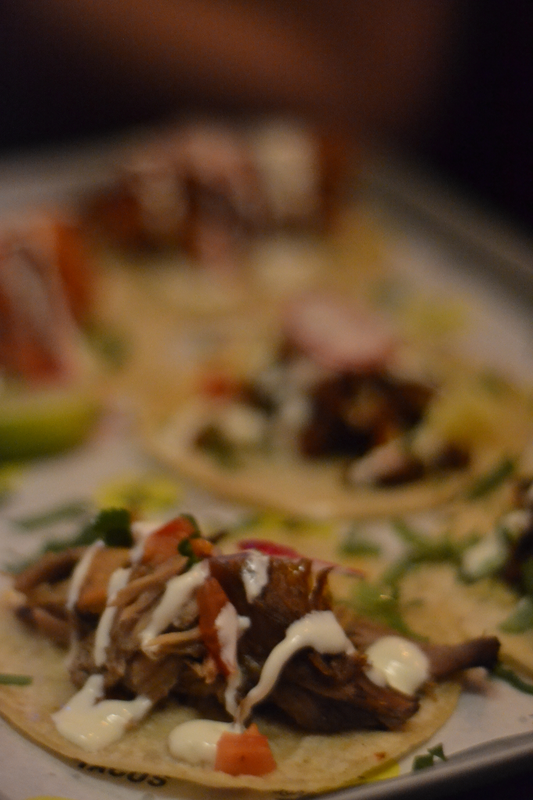 Hannah and I went for a Taco Tray that brings one of each of the tacos on the menu – just five, FYI – to try. Starting with twice fried cod cheeks (absolutely incredible) to the crunchy nut fried chicken (again, pretty dry) then the jerk pulled pork (seriously the best, the tangy apricot dressing was to die for!) and chipotle beef short rib to finish (nice but no comparison to the pork). If you’re looking for a place to drink at with the possibility of some eating fun, I’d certainly recommend Breddos Tacos. As a destination restaurant? Maybe not so much. I’d recommend the Breddos slider and Jerk Pulled Pork tacos for sure, and according to the girls, ALL of the sides are order worthy. Price wise, it looks a little more expensive than desired but works out to about £15/£17 per person if you order wisely.